No need, we've recorded all of the 2018 Educational Presentations. Events come in all shapes and sizes. Our distinguished team continues to master the art of Chicago catering so that when we work with you, you’ll see just how fun and fluid your event can be. We’re driven to provide the most valuable, high-quality catering in Chicago, consistently delivering successful events to clients. Look great to your guests as an event planner, host, hostess, assistant, bride-to-be and more. Feel the calm that comes with the expert care provided by Chicagoland catering professionals. Full-service special event catering company in Chicago. Preoccupied Bride is a wedding + event planning company devoted to helping busy people prepare for their wedding day and other memorable life occasions. Planning ranges from wedding consulting and wedding day coordination to partial service planning and custom event planning for other milestone occasions. A full-service florist specializing in wedding and event decor. We are a vintage horse trailer converted into a photo booth, with a curated vintage costume collection. La Rue Floral is a Colorado floral studio, serving couples in Denver and the Front Range, as well as Aspen, Vail, and throughout the mountains. The company takes pride in it's artistic, garden-inspired approach to floral design as well as it's devotion to enhancing the clients' overall experience on the wedding day. AFR Event Furnishings offers exquisite furniture and accessory rentals for special events including red carpet events, weddings, corporate meetings, conferences, and trade shows nationwide. Ochun Studio is a full service floral and event design company serving San Francisco and the Bay Area. We go beyond floral design, providing multiple services related to the decor and styling of corporate and social events, including layout design, draping (backdrops, canopies, ceiling treatments, etc. ), coordination of rentals and tabletop decor. There’s an epicurean buzz around every gourmet affair curated by Coastal Catering. With a fresh take on local, seasonal cuisine and our masterful design team who curates every detail from the menu to the tablescape, you’ll be partnered with the best. Eclipse Event Co. was founded in Austin, TX, and has additional locations in San Antonio, TX and Orange County, CA. With a commitment to excellence, quality service, and philanthropy, we base the foundation of our company on our Three Pillars of Excellence: Honesty, Creativity and Resourcefulness. Hotel Jerome will reopen for the season on Wednesday, May 23rd, set to show off its new, spacious residential-style suites, outdoor social spaces, underground bar and more. See link to article here! Jane Lockhart, Founder of Sweet Lady Jane, was one of five women panelist of hospitality, selected to speak at the Century City Chamber of Commerce's first annual panel series entitled, Influential Women in Business. This first event was held at The District by Hannah An on Wednesday, May 9, 2018. Charity Maurer Photography launched a successful rebrand in April! The new brand is aimed at furthering her reach as a luxury wedding photographer while serving sophisticated couples with a high standard of customer service and experience. The new brand is live at www.charitymaurer.com - Wedding Photography for Sophisticated & Luxurious Couples. Cindy Celis, Vice President of WIPA SoCal, has joined EDGE Design and Décor as Creative Director. In this role, she will spearhead new product rollouts, work with clients closely to design and execute events that are on the EDGE of the latest trends, and take Edge to the next level of creativity and service. Wolfgang Puck Catering just debuted its newest event venue, City Market Social House. Located within the new City Market South development in downtown Los Angeles’ Fashion District, City Market Social House offers a sleek and polished warehouse-like space with modern design and an urban vibe. The venue boasts 16,000 square feet of indoor and outdoor full-service event space which can fit a wide variety of events including conferences, corporate events, weddings, mitzvahs and private celebrations. City Market Social House is in close proximity to the Los Angeles Convention Center, downtown LA hotels and Arts District. The venue is fully equipped with a state-of-the-art kitchen, in-house lighting and AV capabilities, ample parking, and access to the expansive City Market South courtyard for major events. Located at The Cosmopolitan of Las Vegas, Estiatorio Milos offers stunning private and semi-private dining areas, sweeping views of the Las Vegas Strip and some of the finest cuisine in North America. With multiple rooms and a gorgeous outdoor patio, Milos can seat anywhere between 30 to 160 guests – making it the perfect location for your next dream wedding. Photo here. Bright is now open in the following locations in Northern CA (San Francisco/Bay Area, Sonoma, St. Helena, and Napa) and Southern California (Los Angeles, Santa Barbara, Santa Ynez Valley, Orange County, San Diego, and Palm Springs). Bright Event Rentals is rooted in the concept that events need quality equipment, exceptional service and dependable execution! They believe creativity, innovation, ease of use and the spirit of a partnership are critical to success. Their goal is to stay fresh, innovative and always operate intelligently. Jose Designs was named 1 of the Top 30 Event Designers in the USA by PartySlate. In the article, Jose Graterol discusses the 2017 Heart Ball at The Phoenician. Handy Entertainment was featured in two recent articles including Voyage ATL and Between2Trains. Scheme Events launched a brand new service called Planning by The Book. Tara and Francesca, along with their Las Vegas vendors, published a Las Vegas wedding planning guide that answers all the questions. Couples who choose partial planning with Scheme Events will receive a personalized copy of the book along with three pre-determined planning meetings and day of coordination. Planning by The Book is for the couple who appreciated the guidance but has the desire to plan their own wedding. Follow Scheme Events on Instagram for updates and sneak peeks into the book! Gruber Photographers was featured in a recent article by PartySlate. They also received two awards including Best Event Photographers in New York by Partyslate and Best Portrait Photographers in New York by Expertise. Magdelena Studios was recently featured in a real wedding article by Bridal Musings. Renee Dalo of Moxie Bright Events and Mindy Marzec of Joy Social have launched their new podcast, Rock Your Wedding Biz! Check out our first three episodes now! Kim Sayatovic of Belladeux Event Design has recently shared her tips on hiring a destination wedding planner for Martha Stewart Weddings. She can also be found on Real Simple giving her thoughts on where to save and where to splurge for the Big Day. Heather Jones, Catering Sales Director of Wente Vineyards will be speaking on the WIPA Masters Panel: Advice From Top Industry Pros at NACE Experience 2018 in Palm Springs this coming July. She was also featured on the NACE Blog this month in an article on life balance during the busy event season. Emily Sullivan, of Emily Sullivan Events, will present at NACE Experience on Monday, July 23 at 3 pm on Bringing Out the Best in Your Team. She shared insight on the top wedding details couples forget with Brides.com, as well as covered top wedding favors with Sunset.com. 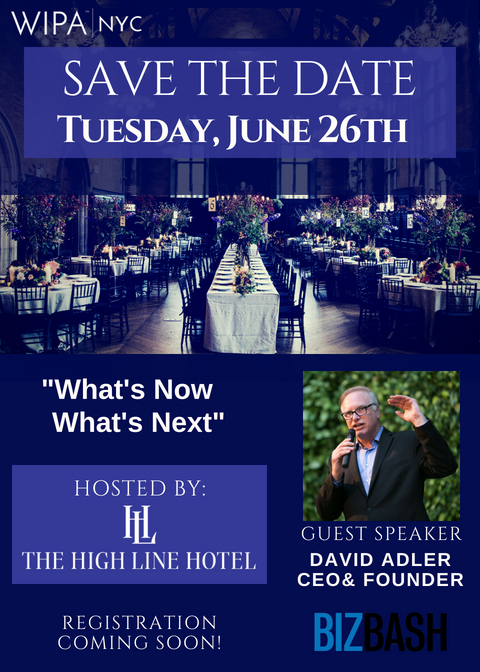 Sandy Hammer of AllSeated was selected to speak at the New York / New Jersey Metro NACE Chapter on Virtual Reality on June 20. 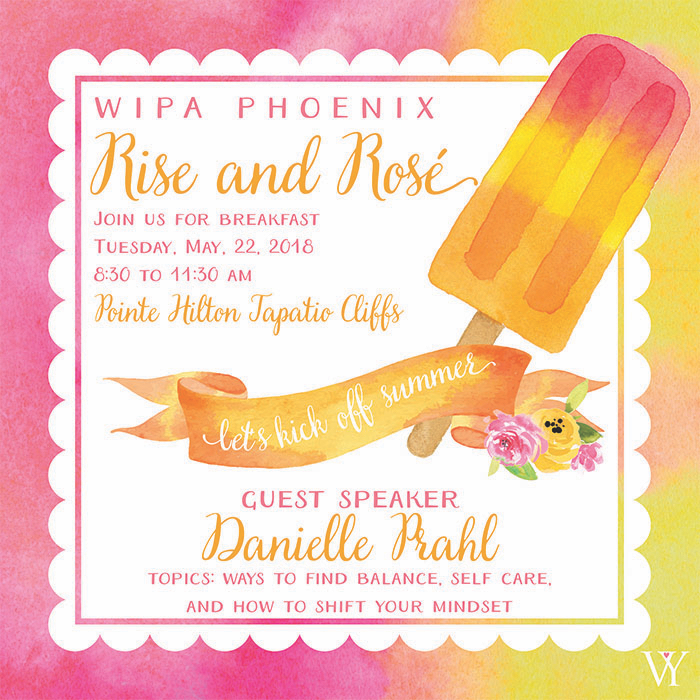 Sandy was also chosen to speak at NACE Experience in Palm Springs where she will sit on the WIPA Masters Panel: Advice From Top Industry Pros as well as present on Scaling Your Business with Tech Solutions. OFD Consulting was awarded two Virginia PR Awards by the Public Relations Society of America. They were honored in the category of National Media Relations for their work with the 2018 International Wedding Trend Report as well as took home an award in the category of Top Web Broadcasts for Meghan Ely's sold out webinar on the Leveraging the Royal Wedding for Wedding PR. 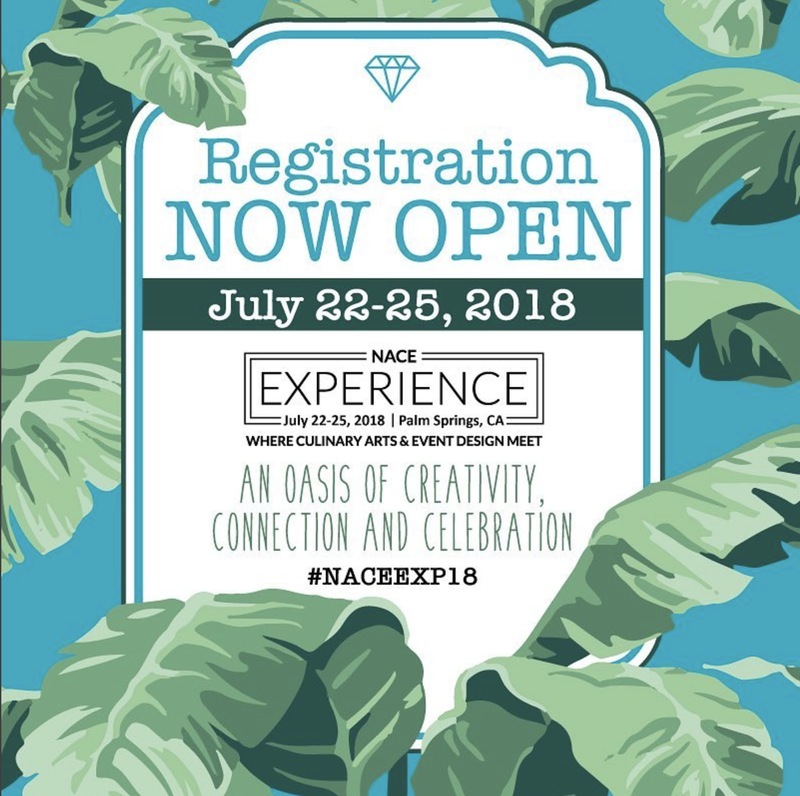 Kevin Dennis of WeddingIQ was selected to speak at NACE Experience in Palm Springs where he will sit on the WIPA Masters Panel: Advice From Top Industry Pros as well as present on Productivity Boosting Strategies in the Event Industry. His recent WeddingWire EDU column expanded on the top apps to help reduce stress in the event season. Southern Exchange Ballrooms was recently awarded Historic Wedding Venue of the Year, a prestigious award by The Luxury Travel Guide Awards, which represent the pinnacle of hospitality achievement, championing the best in their respective fields. Peak Beverage is proud to announce the addition of Joyce Reilly to their Business Development team. Joyce has been a key player in the Colorado special events industry for many years, and her contributions to the team have already been significant. Peak Beverage has also been named a Colorado Companies to Watch 2018 finalist, and the winning companies will be announced in June. Stella Plantation recently featured in The Gambit for the best “Alternative Ideas For Bachelor and Bachelorette Parties,” is providing guest with a further adventurous and interactive experience by adding five “glamping” cabins. The 180 square foot A-frame cabins will all feature 80-foot bamboo decks overlooking the plantation’s 53-acre lake. The cabins will provide overnight accommodations and an additional experience to the daily activities Stella has to offer including pheasant shooting, crawfish catch and boils, fishing and much more. Stella Plantation is happy to announce their new Events Manager, Natasha Kozlowski. Natasha, recently relocated from Austin to New Orleans, is an award-winning event planner with 11 years of event production experience in the special events industry. Blueprint Studios is delighted to announce the opening of their new showroom and design center. Located adjacent to the DTLA Arts District, this 4000 square foot facility showcases our latest inventory of event rental furnishings, specialty design elements, and dramatic scenic settings. 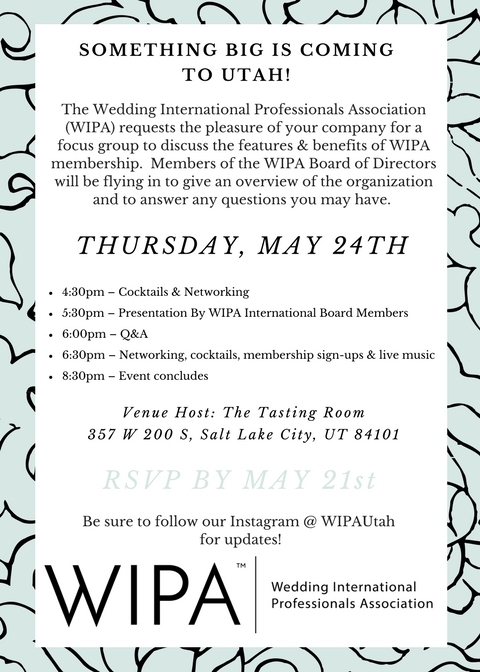 WIPA members are invited to schedule individual viewings and consultations with our creative account team. This inspiring and interactive venue completes Blueprint Studios' expansion into the Southern California market, now offering the industry's most trend-forward rental furnishings from our adjacent 80,000 square foot operations center. Premiere Party Rents is featured on Voguefor providing rentals at the Palisades Village Opening of A.L.C. They were also highlighted on and Ruffled Blog and California Wedding Day. Good Gracious! Events catered XO Bloom's "Blooming Into Summer" dinner where each course focused on a different color. They were also featured on Catch My Party for the adorable Paddington Bear baby shower they planned, designed and catered. Alan Katz and Suvin Mehta of Great Officiants have been Cast in a new Wedding related TV pilot for WE TV that is shooting in May. The network loved their comedic approach to the world of weddings. Windy City Linen recently celebrated 10 years of success and growth in the hospitality and event industry. They hosted an exclusive, VIP-invite-only party,which was held at Chicago’s new Venue West on April 25th. The party highlighted a decade of success in the event and hospitality industries, new product launches, re-branding and more.